Adjacent to the Greater Kruger National Park lies 11 500 hectares of pristine African bushveld, which is the 'Thornybush Game Reserve'. With an abundance of bird and mammal species including the 'Big 5', it is also home to five exclusive camps. Adjacent to the Greater Kruger National Park lies 11 500 hectares of pristine African bushveld, which is the 'Thornybush Game Reserve'. 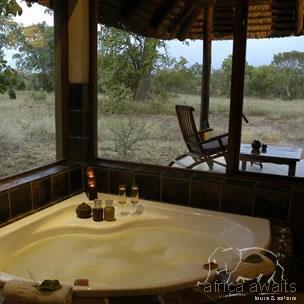 With an abundance of bird and mammal species including the 'Big 5', it is also home to five exclusive camps. One of these camps is Jackalberry - newly renovated and refurbished this year with superb results. The towering Drakensberg Mountains provide a majestic backdrop for this 10-bedded camp. 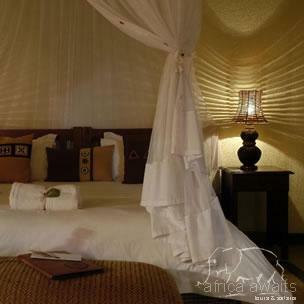 Understated comfort and ethnic ambience blend harmoniously with nature. Jackalberry is an ideal destination. The bush around the lodge teams with game and more than 250 different species of birds can be seen, a paradise for birdwatchers. Relax at a crackling campfire after a hearty traditional bushveld dinner, and listen to the night sounds of Africa. The sparkling swimming pool will offer an opportunity to cool from the African sun. Exciting dawn and dusk safaris from open landrovers with fully qualified rangers and trackers, and bush walks for the more adventurous. 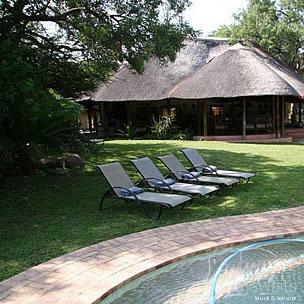 With your holiday, safari or business trip from in to Jackalberry Lodge in Kruger National Park.